The next time a recruiter calls you, be sure you understand their perspective, then consider these points. His or her research team will have identified you as a possible match based on the size of your current company and your title – and possibly other qualifiers they’ve found about you (LinkedIn, press releases, industry articles, pay-for-information services, Hoovers, etc). Otherwise, you wouldn’t be getting a phone call. S/he will respect your time. If you’re not the right fit, s/he’ll end the call quickly and you can get on with your day. Qualifying you usually takes about 5-7 minutes. S/he’s on billable time, so s/he’s not going to waste anybody’s time. An executive search consultant is doing a highly specific job with highly specific metrics. Next time one calls, think twice before having your assistant deflect the call. Establish a connection. If nothing else, you’ll develop a “loose tie.” I’ll write later about Malcolm Gladwell’s findings on “loose ties” in The Tipping Point. Send your résumé, if asked. It will be kept in confidence and you may end up in their database. Take time now to weave industry-specific keywords into your résumé copy so it’s ready when they call. Nag if s/he determines you’re not a fit. S/he’s paid well to do the job. Suggesting otherwise by advocating your case too boldly will assure that you’re not included in future searches. It’s bad manners and smells like desperation. A good recruiter is looking for people who are happy in their jobs, for whom a next step is unexpected and might make them even happier. Actually, when you’re happiest and most productive is when you should consider new opportunities. It’s when you have the most leverage. 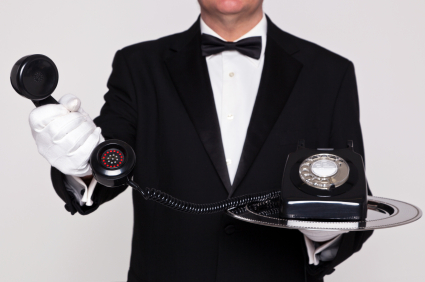 Generate unsolicited inbound phone calls. If you’re a potential candidate, s/he’ll let you know and share next steps. Invest too emotionally, too early. If you’re identified as a possible candidate, you’ll be treated like a partner in continuing to identify your candidacy. Along the way, both you and the recruiter will be constantly assessing your fit to the opportunity. So relax. And don’t be afraid to let the opportunity go (politely) if it’s not right for you. Want to get on a recruiter’s radar? Play the game. Introduce this quiet, effective career development tool into your life now. Take that recruiter’s next phone call.